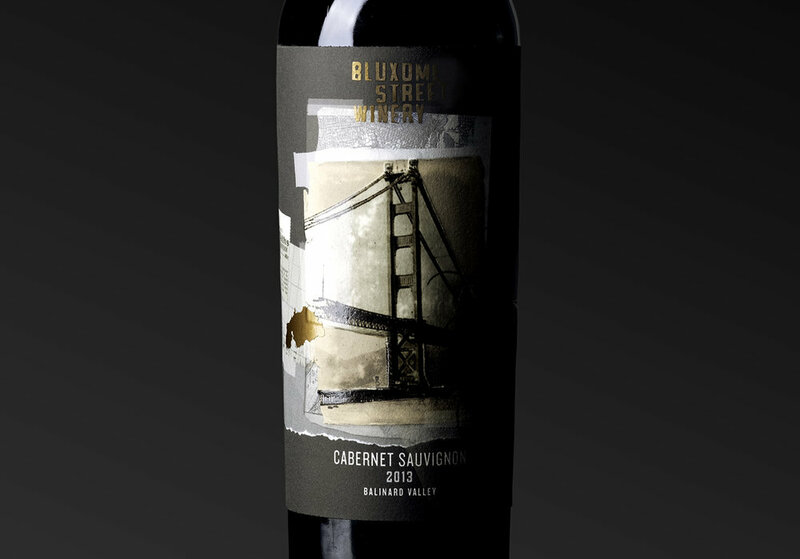 is why I was surprised to discover that San Francisco had its own winemaking tradition going back a hundred years, to before the earthquake of 1906. 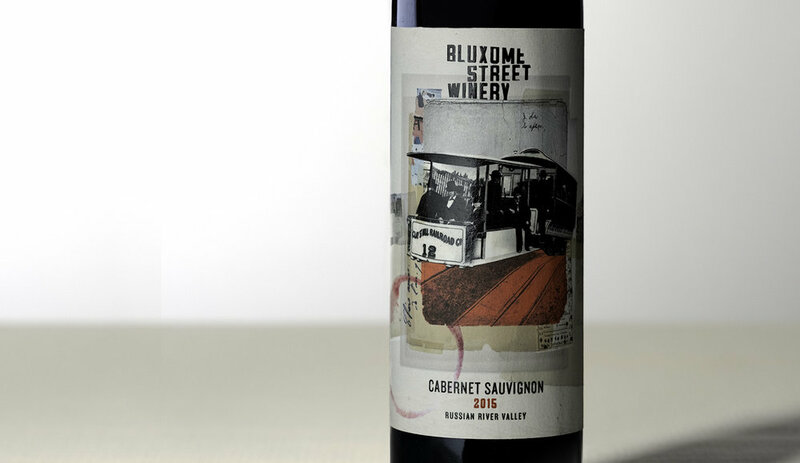 It centered mainly around the then-notorious neighborhood of Soma, now home to the Bluxome Street Winery. 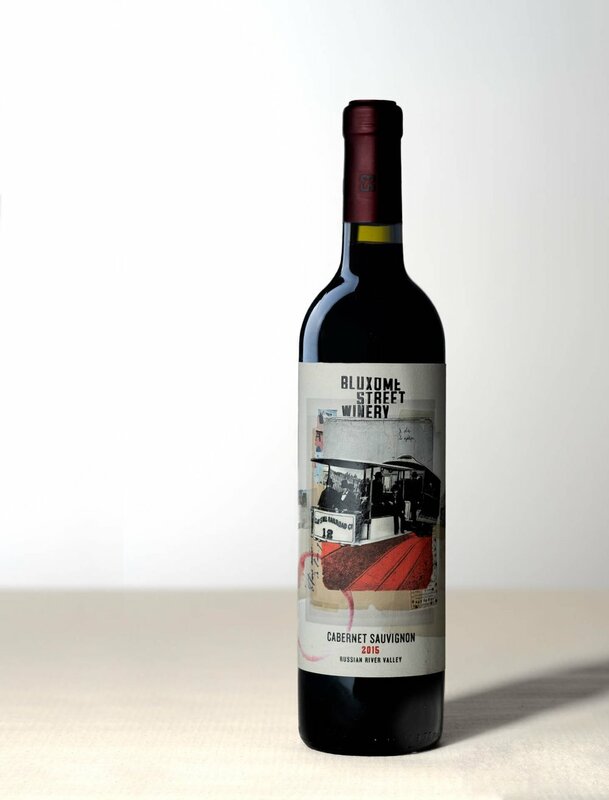 To design labels for their wines, I set out to capture the character of the city, digging into historical images for texture, excited for the chance to depict that gritty heritage in a category more often associated with class and refinement. 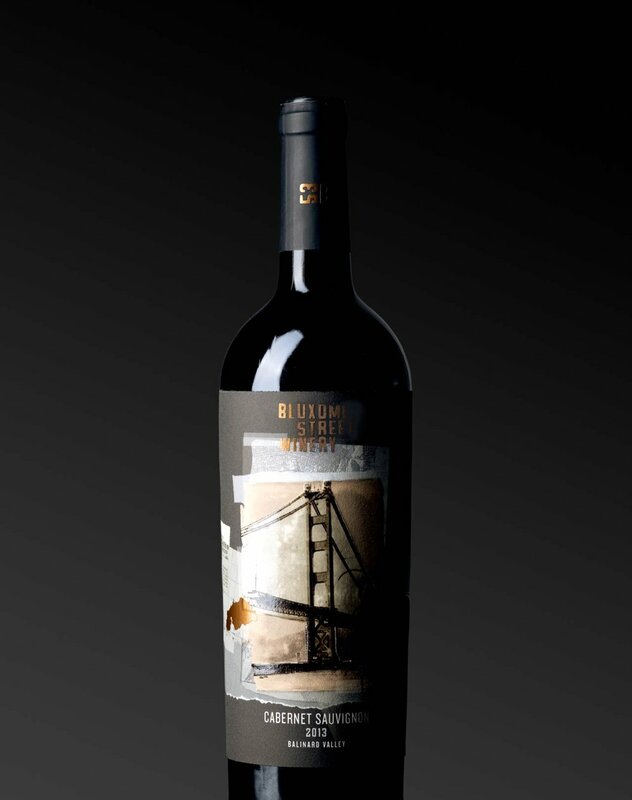 Select an existing winery design labels for three bottles, a standard red and white, as well as a premium red with packaging. Research the winery and its customers and develop a concept that communicates the personality of the winery and value of its wines. 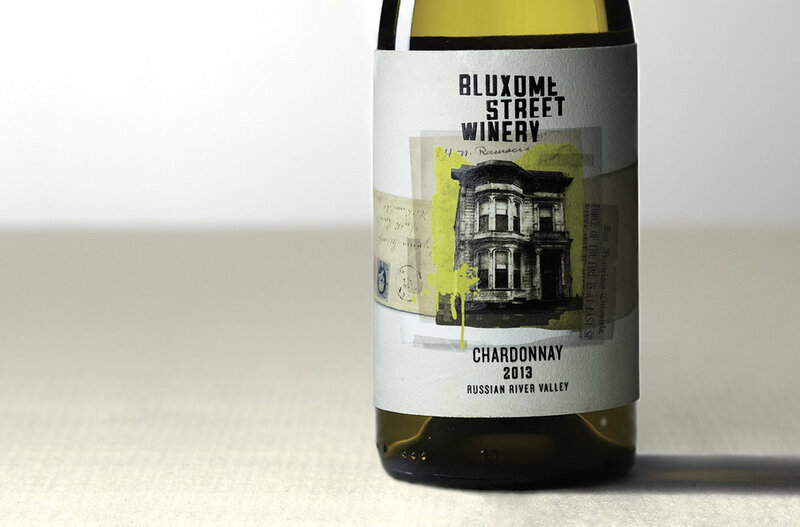 I chose the Bluxome Street Winery for its unique location and qualities as part of a long tradition of city wineries. The idea was to depict its heritage and back story through a collage of old photos and documents, layered with organic elements and modern pops of color. 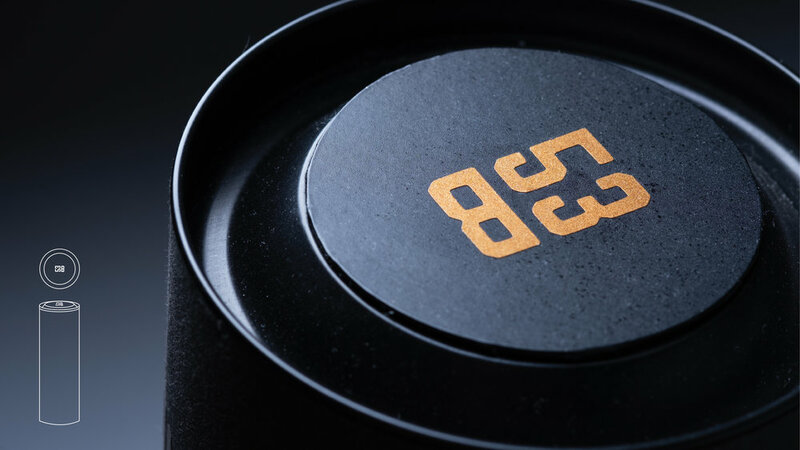 The labels were designed to appeal to local drinkers as well as visitors looking to bring home an indelible piece of the city.